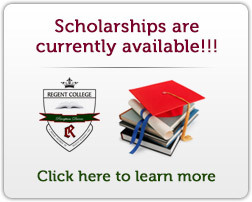 Admission to Regent College is open to students intending to enter JSS1, JSS 2, JSS3 and SSS3. Class sizes are limited to twenty students per classroom and two classrooms (A & B) per set. A minimum average score of 50% in the Regent College placement exams. In the case of transfers, a minimum average of 55% in your last term in your former school will be required. Students who do not meet this criterion may be placed in a preparatory (remedial) class prior to the start of the school year and if necessary in a transition class when the year commences. These classes will be rigorous and personalized to each individual student who enrolls. The aim of the class will be to raise the academic level of the student with a view to integrating the student into the mainstream secondary curriculum. Interested applicants should download the placement exam and application form by clicking the appropriate link. The enrolment process does not take into consideration any prejudices other than passing the entrance exam and a willingness to abide by the school regulations. Children will be strictly placed in classes appropriate for their ages.